A Russian Blue kitten is the perfect pet when looking for a gentle and reserved cat. They are jovial and lighthearted but not too playful. It will however, be too timid around strangers. They will not be annoyingly disturbing but instead it is behaved and independent. It loves playing with humans but will survive well with other pets as well. It is usually 10 inch high and 12 pounds heavy. One of the features to look for when adopting a Russian Blue kitten is the coat. The coating is double and the fur is dense and smooth. This silk like plush coat is blue in color. The dense fur makes it fun to pet it and it makes the cat breed unique. The kitten’s eyes are green and very appealing. The Russian blue kitten is affectionate, intelligent and suitable for those who are adopting a cat for the first time. It is a good companion for the singles as it bonds and trains easily. 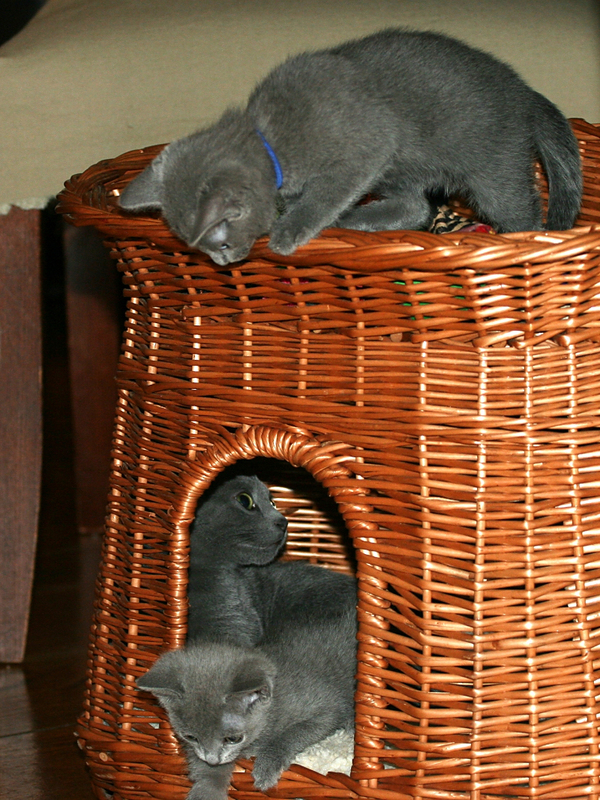 Be cautious as some cat shelters will call a cat a Russian Blue to get people to adopt it. Be sure you know the characteristics of the breed well enough to avoid getting conned. It is also worth noting that they may display misleading pictures on their websites. Some of the information about the pet for adoption may even be misleading. For this reason, ensure that you get the facts and adopt from a credible shelter or breeder. Online listings by credible sources will be a good start. There are quite a number of breeders with quality Russian blue kitten breeds online. Check whether their sites are up to date, for how long they have been breeding and whether they have actual satisfied customers. Reliable cat breeders can moreover be found participating in cat shows. Other considerations you need to make before adopting a Russian blue kitten include whether or not its features and temperament match with your lifestyle of family life. Consider whether you will have the time and money to take care of your cat effectively. This includes health care and maintenance. For the reason that Russian blue is a minor breed, consult a veterinarian who actually knows about the particular breed to ensure that your kitten gets the best care. To ensure you take better care of your Russian blue, you can have it insured. In addition, the kitten needs a clean litter box and a stable environment.